Located within a conservation area in Islington, North London, Highwood Road is an elegant four storey terrace house. The existing, rather functional balcony to the rear of the house is constructed of timber and is in a poor state of repair. 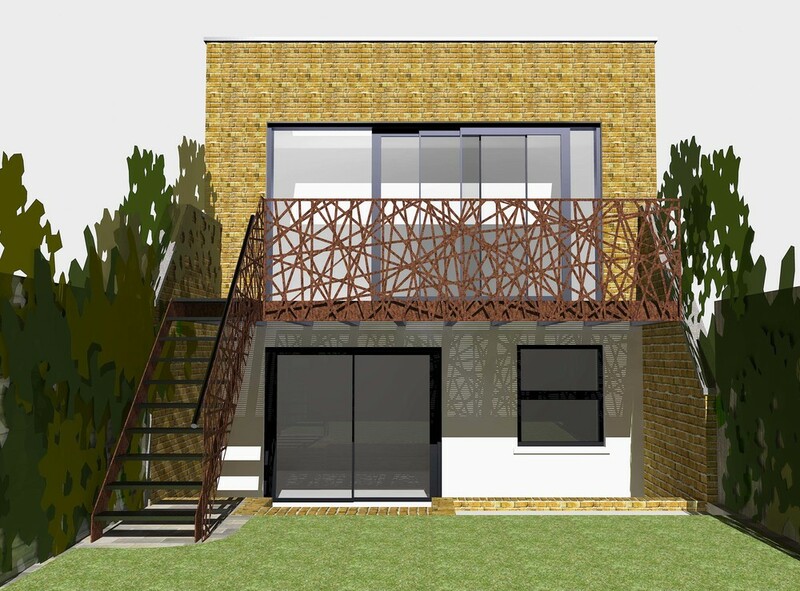 The Client was keen to replace the balcony with a more contemporary design constructed of more hard-wearing materials. 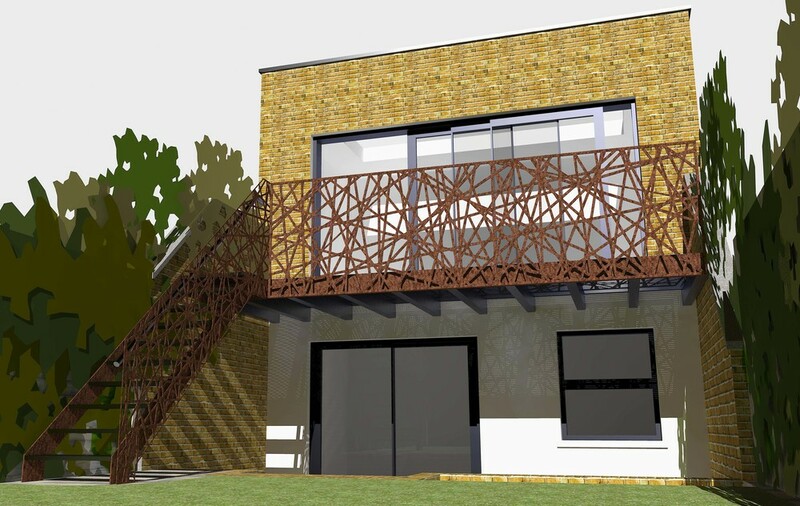 The solution proposed using a combination of stainless steel mesh grating for the floor of the balcony and the stair treads, along with a CNC cut COR-TEN steel balustrade. The natural weathering process creates a warm orange patine to the balustrade and introduces an additional texture to the mature garden. The use of mesh flooring and an open balustrade design allows a large amount of natural light to penetrate into the basement area below.